1. Online writing : you can earn money online by writing articles online for some good website to get paid.Your writing must be on original, unique content and high level of creativity.Site which offers such services are triond, ezinearticles, hubpages, squidoo, e-articles etc you can google more of this. 2. Blogging : blogging is not a get rich quick scheme but definitely a good way to make money online.start blogging by choosing a niche you are good at, get a platform which can be either wordpress or blogger, follow some essential tips a new blogger needs to know and after a while you can now integrate some cpc program like google adsense, addynamo, chitka, infolinks etc all these program can make you earn money. 3. Affiliate Marketing : this is a program that allow you to earn some cash by picking a product and selling on behalf of the owner.A good affiliate money making program is clickbank, ebay and amazon. They have a good marketplace for online buying and selling.You can start with clickbank when you sign up, pick a product and advertise.The revenue sharing formula will be shared based on percentage. 4. Answering Questions : you can decide to make money online by answering questions online.There are sites that allow you to register as a solver or tutor with them.You just need to register and start recieving jobs online, get them done and at the end you will get paid.Examples include webanswers, justanswers, allhomework.net. 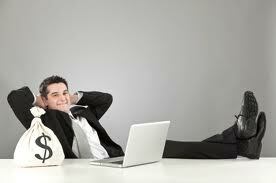 For full info about this read how to make money answering questions online. 5. Selling pics : you can make money by selling some of your beautiful pictures originally owned by you.Sites such as turbosquid, dreamstime, istockphoto, photobucket are where you can upload your pics and you will get paid based on total number of views.Payment mainly by paypal or lr. 6.Skills : are you good in writing, drawing, photoshop, imaging, web design, blog seo, facebook fan page design, traffic expert, singing, acting etc why not register with fiverr, see what you can do, put your skill into practise and get paid for every services rendered in form of gigs. 7. Classified ads : this is another way to make money online simply by listing some of your unused items and placing them on free classified ads site like ebay and craiglist. For every purchase, you get paid into your account which might neither be in paypal or direct bank deposit. i tried istockphoto but the paypal payment option is bringing me down cus its not acceptable in ma country. These are really excellent to earn money online plus you also get to sharpen up your writing skills. That's a huge list, and I really agree with that all! There are really lots of ways to earn money online and many people found this really helpful to them. By the way, from all the list above, what you are using what do you prefer most? IS THERE ANYTHING LIKE CONFIGURED GRAPHCARD ACCOUNT, PLEASE?